A University of California, San Diego (UCSD)-led research team has discovered that a small subset of diverse solid tumor ]types harbour amplifications in the programmed cell death ligand 1 (PDL1) gene, a finding that could help to identify additional cancer patients who will respond to treatment with immune checkpoint inhibitors (ICIs). Results from the research, which was headed by Aaron M. Goodman, M.D., and Razelle Kurzock, M.D., showed that two-thirds of a small cohort of patients whose tumors exhibited PDL1 gene amplification responded to checkpoint inhibitors, in some cases when there was no accompanying increase in PD-L1 expression. 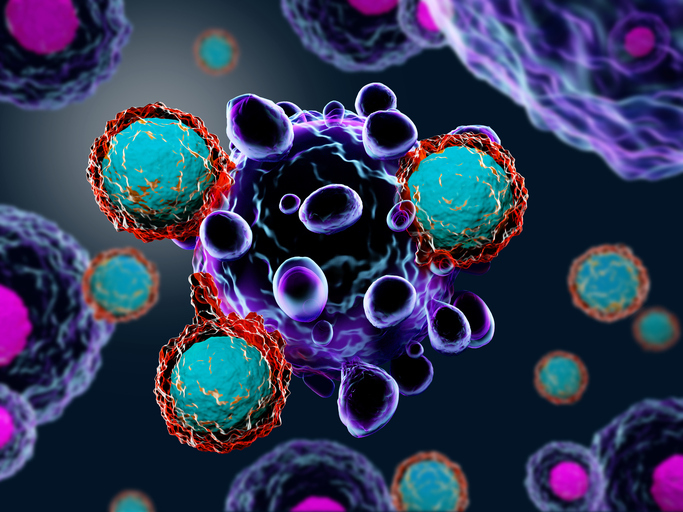 The development of antibodies that target the immune checkpoint targets programmed cell death 1 (PD-1), its cognate ligand programmed cell death ligand 1 (PD-L1), and cytotoxic T-lymphocyte-associated protein 4 (CTLA4) has revolutionized the treatment of both solid and hematologic cancers. However, ICIs are only effective in certain subsets of patients, and while some patients who do benefit will exhibit durable responses, others will eventually develop resistance. Current biomarkers for predicting response to PD-1/PD-L1 blockade include PD-L1 expression, microsatellite instability (MSI) and a high tumor mutational burden (TMB). Amplification of the chromosome region – 9p24.1 – that harbours the PDL1, programmed cell death ligand 2 (PDL2) and Janus kinase 2 (JAK2) genes has also been identified in different forms of lymphoma, and research has separately found direct copy number alterations (CNAs) of the PDL1 and PDL2 genes, again in lymphomas. “Taken together, in certain lymphomas, chromosome 9p24.1 alterations, which include PDL1, are relatively common and are associated with high susceptibility to PD-1 blockade,” the authors state. To investigate the prevalence of PDL1 amplification and its potential use as a biomarker for ICI response more widely in solid tumors the team carried out a retrospective study in which they analyzed 118,187 patient samples from the Foundation Medicine dataset, including a subset of 2,039 clinically annotated patient tumors form the UCSD Moors Center for Personalized Cancer Therapy, covering the previous 15 years up to October 2017. Comprehensive genomic profiling was performed on all samples to determine PDL1 amplification, microsatellite instability, and tumor mutational burden (TMB). Overall, 843 of the 118,187 patient samples (0.07%) that had undergone comprehensive genomic profiling exhibited six or more CNAs in the PDL1 gene. “PDL1 CNAs were identified in more than 100 solid tumor histologic types.,” the team writes. Interestingly, more than 80% of the PDL1-amplifiied tumors had a low to intermediate TMB. Nine of the thirteen patients (69.2%) with PDL1 amplification (all with solid tumors) were treated using either PD-1/PD-L1 monotherapy, combined therapy with PD-1/PD-L1 plus an investigational agent or an anti-PD-1/anti-CTLA4 combination therapy. Among these nine ICI-treated patients the response rate was 66.7%, and the median PFS was 15.2 months. Responders included two patients with head and neck squamous cell cancer (PFS, ≥9 and 15.2months), two patients with metastatic basal cell cancer (PFS, 3.8 and ≥24.1 months), and one patient with urothelial cancer (PFS, ≥17.8 months). The researchers acknowledge that the study included only a small number of patients with PDLI gene amplifications who were treated using ICI therapy, so drawing definitive conclusions about response rates, PFS or overall survival wasn’t possible, “except to suggest that further additional prospective clinical trials of checkpoint blockade in PDL1-amplified cancers are warranted.” The study was also only validated for six or more copy numbers of PDL1, so future research will need to consider a frequency of alterations in copy number of less than six, they suggest.